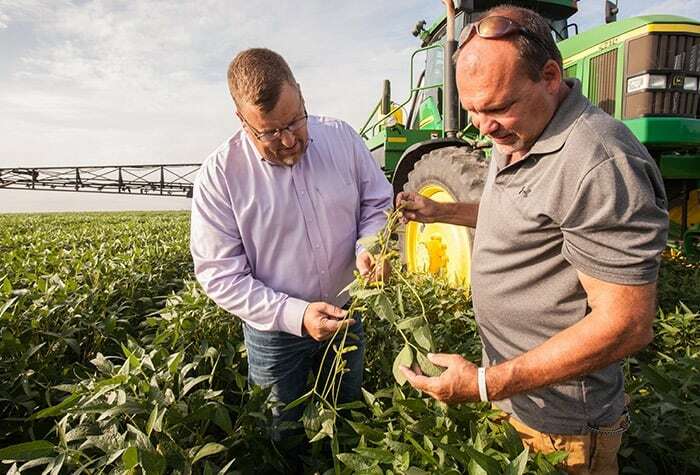 Retailer William “Bill” Ruzicka (left) and grower Mark Forsyth (right) inspect a soybean plant on Forsyth’s farm in Charles City, Iowa. Year in and year out, professional athletic clubs spend millions of dollars looking for just the right talent to add to their lineups, fill skill gaps and win more games. Much like the athletic scouting process, Syngenta researchers are on a quest to find just the right tools to more effectively fight disease and, ultimately, help growers achieve higher returns. Adding Miravis fungicides to its 2019 lineup, @SyngentaUS goes all-in on disease control. To that end, Syngenta has introduced two game-changing fungicide molecules for the row-crop market in the last three years—Solatenol® fungicide and most recently, Adepidyn® fungicide. While both Solatenol and Adepidyn fungicides fit into the carboxamide chemical class with an SDHI (succinate dehydrogenase inhibitor) mode-of-action chemistry, they have their own characteristics that set them apart from each other—and every other fungicide on the market. New and shifting disease patterns as well as resistance continue to drive the need for innovative technology. 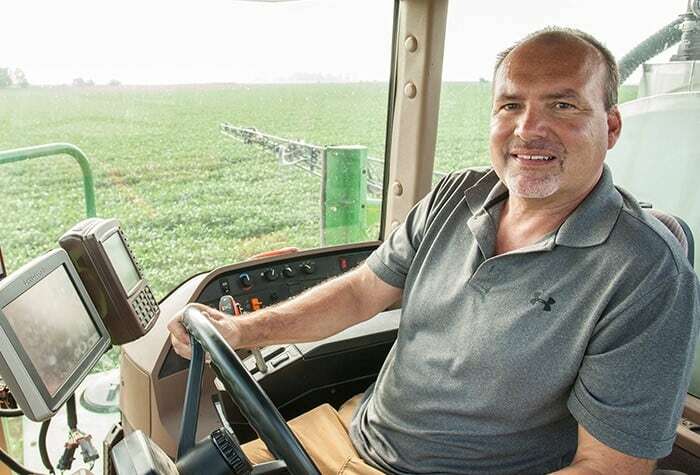 Syngenta Has a Winning Roster of Fungicides: Grower Mark Forsyth of Charles City, Iowa, sprays his soybeans with Trivapro fungicide to effectively manage diseases. He also uses Trivapro on his corn acreage. Syngenta Has a Winning Roster of Fungicides: Retailer William "Bill" Ruzicka (left) and Forsyth (right) inspect ears of corn prior to harvest. Syngenta Has a Winning Roster of Fungicides Forsyth has documented a yield bump of 10-to-15 bushels per acre after using Trivapro on his corn acreage. Syngenta Has a Winning Roster of Fungicides: Jim Campbell with Syngenta (left) and Forsyth (right) can't find any signs of disease on this healthy leaf of corn. Syngenta Has a Winning Roster of Fungicides: From left to right: Ruzicka, Campbell and Forsyth work as a team to help maximize the productivity of Campbell's farm, including this soybean field. Syngenta Has a Winning Roster of Fungicides: From left to right: Campbell, Ruzicka and Forsyth are all true believers in the plant health benefits that Trivapro offers. Syngenta Has a Winning Roster of Fungicides: For Forsyth, the ultimate goal of using Trivapro or Miravis Neo on his corn is harvesting healthy ears like this one at the end of the season. Trivapro® fungicide—With first sales in 2016, Trivapro quickly proved its ability to work harder and last longer to fight diseases and help improve plant health for higher yields, versus untreated acres and competitive brands. Powered by three active ingredients—azoxystrobin, propiconazole and Solatenol fungicides—Trivapro has set a new standard for residual disease control for rusts, blights and leaf spots in corn, soybeans and wheat. 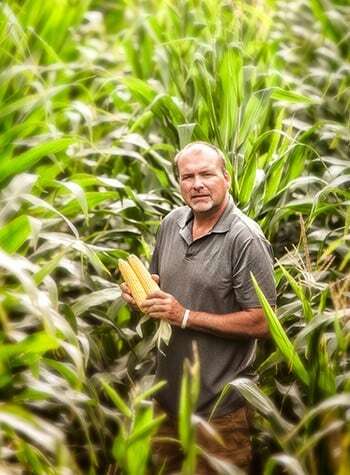 Forsyth checks out a couple of ears of corn on his farm. While Trivapro controls many diseases, efficacy ratings from university corn fungicide trials rank its Southern rust control as excellent—an important distinction for growers who face Southern rust pressure. Over the last few years, University of Kentucky Plant Pathologist Carl Bradley, Ph.D., has observed yield losses caused by Southern rust in Kentucky cornfields. “We really don’t have any corn hybrids with complete resistance to Southern rust, so application of an effective fungicide is really the only current method of management for this disease,” he says. 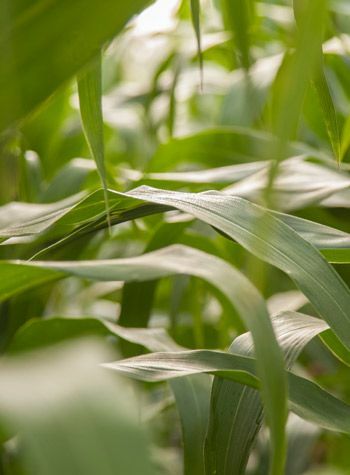 Miravis Neo fungicide—Similar to Trivapro, Miravis Neo will help corn and soybean producers combat disease by offering unmistakably superior control from three active ingredients: azoxystrobin, propiconazole and Adepidyn fungicides. Miravis Neo offers the most potent control of blights and leaf spots and will offer a new tool for white mold in soybeans. A healthy stand of corn flourishes on Forsyth’s farm. Ruzicka, who had a chance to field-test the new technology this year, is looking forward to more widespread use of this exceptional product in 2019. Miravis Top fungicide—Engineered specifically with Southern soybean growers in mind, Miravis Top contains difenoconazole and Adepidyn fungicides. With two powerful active ingredients, Miravis Top enables growers to control diseases—including susceptible and strobilurin-resistant frogeye leaf spot, target spot and Septoria brown spot—while providing the plant-health benefits they expect. Growers shouldn’t overlook the importance of having a new active ingredient to help combat growing resistance challenges, Bradley adds. Currently, control of frogeye leaf spot is coming from the triazole component of most fungicide products, since the fungus has exhibited widespread resistance to strobilurin fungicides. This is making the triazoles do all the “heavy lifting” and sets up a scenario where resistance to triazole fungicides could eventually develop as well. Using new chemistries from different chemical classes will help sustain management of frogeye leaf spot with fungicides for a longer period of time. Miravis Ace fungicide—Wheat growers have long battled Fusarium head scab (blight) with relatively few modes of action and constrained application flexibility. In 2019, that situation will change with the introduction of Miravis Ace. Containing Adepidyn and propiconazole, Miravis Ace will not only be the first SDHI-containing product available for Fusarium head scab control, but it will also be the first new mode of action for the disease in many years. Field tests across the country—from North Dakota to Pennsylvania and Kentucky—demonstrate that Miravis Ace will enable wheat growers to have more flexibility to treat all their acres at the right time for better, more predictable results. 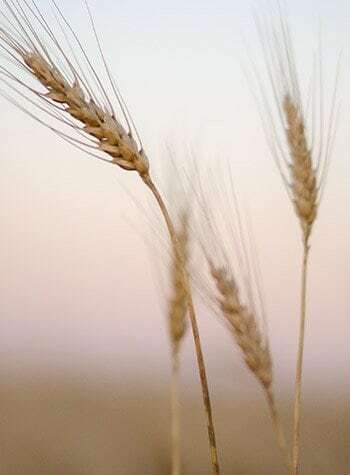 Wheat grows in a Crookston, Minnesota, field. In field tests, Syngenta has demonstrated that Miravis Ace can be sprayed as early as 50 percent head emergence, without sacrificing efficacy or yield. And because it delivers excellent control of Fusarium head scab, Miravis Ace can help reduce levels of the profit-robbing mycotoxin deoxynivalenol, also known as DON or vomitoxin. With the introduction of the Miravis brands, row-crop growers now have four potent fungicides to choose from to fight the specific diseases that threaten their crops, Johnson notes.